Using a cutting-edge silicon valley material that was developed over two years, the Altus utilizes a Center Vaping Unit (CVU) Chip. The CVU Chip is a durable and reliable product that comes with a one-year warranty from Altus. 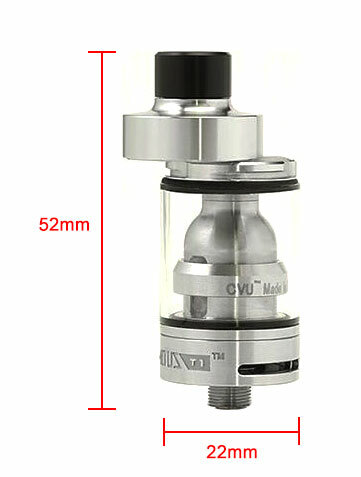 The CVU was designed for use in vaping and is an advanced solid state heater. Safer than any wire that is used to build coils, the CVU will last a very long time within its operating temperature. 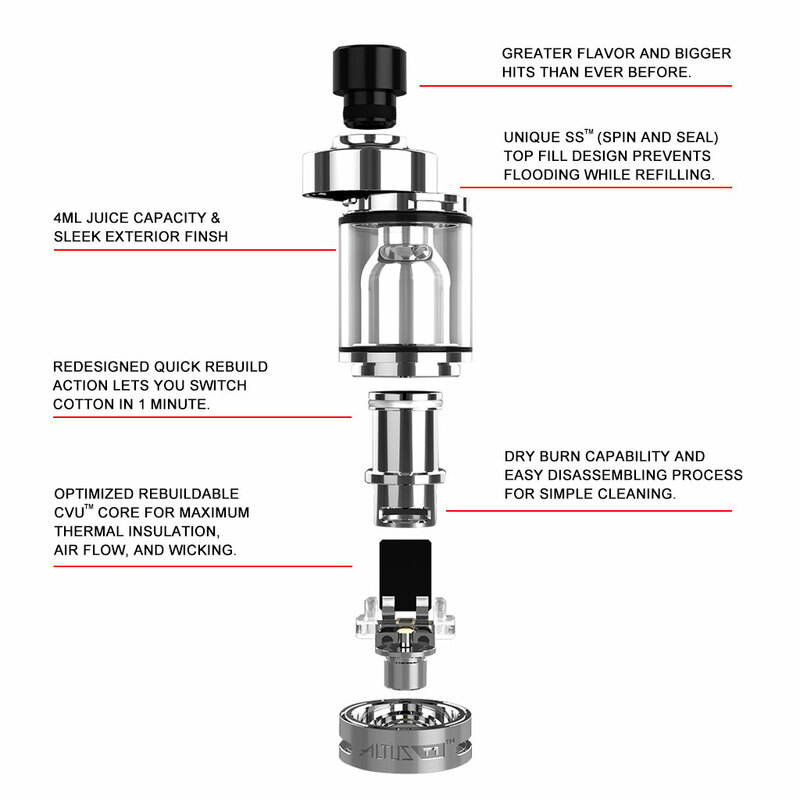 The CVU is non-metallic and non-toxic, with a purer and cleaner flavor delivery than any wire currently on the market. There is no need to dry burn it, and dry burning it voids the warranty. The surface of the CVU does not oxidize under 1832 degrees Fahrenheit. It can be used with temperature control functionality at up to 200 watts, and 480 degrees Fahrenheit. 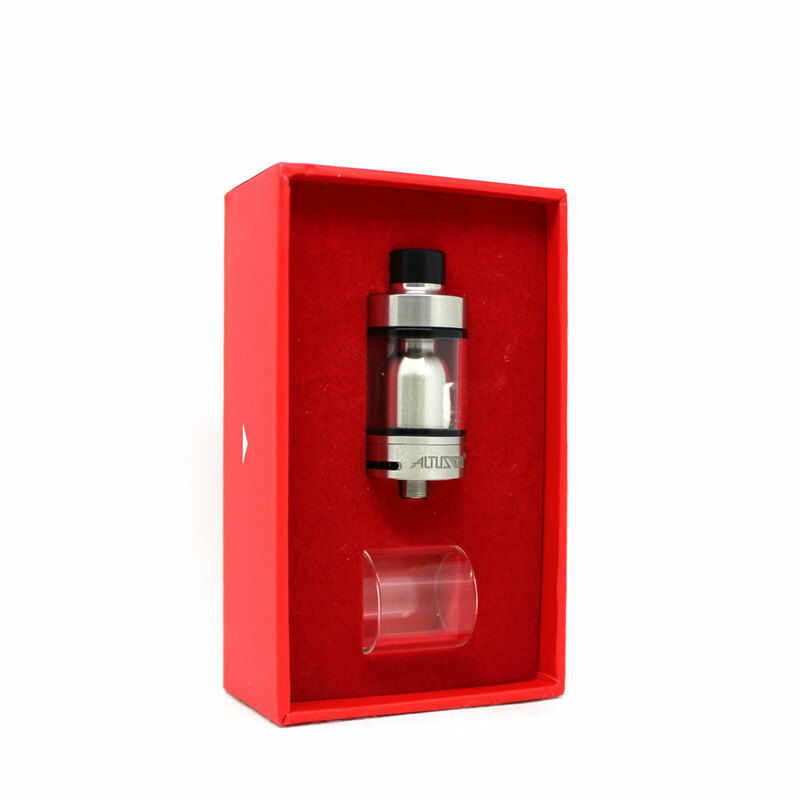 It will also undoubtedly work on any regulated mod, with or without temperature control, from 25 to 75 watts. The CVU unit has a resistance reading of approximately 0.5Ω when it is room temperature. The terminals are gold-plated. As the CVU is heated, the resistance reading will climb up. This occurs during use and is normal. When you set your mod back down, the juice cools down the chip and the reading returns to approximately 0.5Ω. At the heart of this corrosion resistant high quality stainless steel body is an advanced solid state CVUTM chip that lasts for years. The CVUTM material is one of the fastest thermo conductive materials in the world and is resilient at high temperatures (up to 2000°C). These properties make the CVUTM chip the cutting edge for temperature control and regular power mode settings, ensuring peak performance every hit.